Police stopped a van towing a stolen woodchipper in Chichester on Monday morning. Picture courtesy of PC Tom Van Der Wee. A stolen woodchipper was found in Chichester using 'tracking information' provided by the victim, Sussex Police has confirmed. Three people were arrested on Monday morning (November 26), after police stopped a van towing the stolen woodchipper in Broyle Road, Chichester. Sussex Police has now revealed the arrests came shortly after the expensive machinery was reported stolen in Vann Road, Fernhurst at about 10.48am, thanks to the help of the victim. A police spokesman added: "Three people have been arrested in connection with the theft of a £30,000 woodchipper. "Using tracking information provided by the victim, police stopped a vehicle in Broyle Road shortly afterwards." Police also confirmed the three occupants – three men from Bordon in Hampshire aged 29, 46 and 17 – were arrested on suspicion of theft but have been released under investigation and enquiries are 'ongoing'. 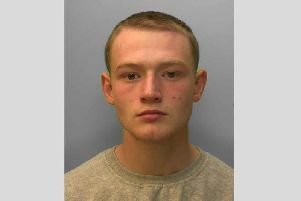 In a tweet, yesterday morning police constable Tom Van Der Wee highlighted the teamwork involved in making the arrests, revealing that it was a joint operation with '@sussexroadscop and colleagues from response in #Chichester'.